MY Run Tracker is a Mobile App developed exclusively with unique features to enable a Marathon event organizer improves their online brand visibility & make their event a memorable one. ANGLER Mobile App team has developed an innovative, feature-rich ‘Ready-to-Go’ Mobile App product” My Run Tracker “for both Marathon Organizers and Passionate Runners. The mobile app is developed exclusively for Marathon organizers; idea behind this initiative is to provide a personalized App for their event’s runners. Based on the event organizers need it can further be customized to provide additional individual reach for their sponsors. The key solution offerings of My Run Tracker mobile app for passionate runners are features to track their activities, view the route in the interactive map, measure their performance over a period of time, Set preferred audio alerts for time or distance milestones crossed, measure progress against targets. Browse the fun filled moments via photo gallery, post activity status & share experience to Face book friends and Twitter followers. Above all it facilitates runners to View reports on travelled route, distance travelled, average speed, calories burned and much more over given time period. My Run Tracker app is readily available for download at Google Play Store & apple itunes, Whether you’re looking to organize a Marathon event, run for a marathon, improve your health & stay fit by burning up your calories then our My Run Tracker mobile app would be a great choice for you. 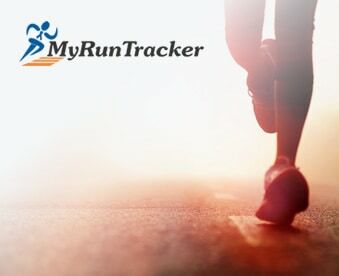 For more Info visit www.myruntracker.com.